SJAAN Van Ansem isn't exactly what you would imagine an automotive parts trainee to look like. But the petite blonde 21-year-old is out to break the stereotype and show young girls that women in the automotive industry are "just as good as the guys". The Forest Hill car enthusiast said while working in a male-dominated industry was a challenge she wouldn't have it any other way. "I see it for myself, that women get treated completely different to the men and I just want my story to get out so younger girls will want to be in a male-dominated industry," Ms Van Ansem said. "I just want to prove to people in this community that girls can do just as much as boys." 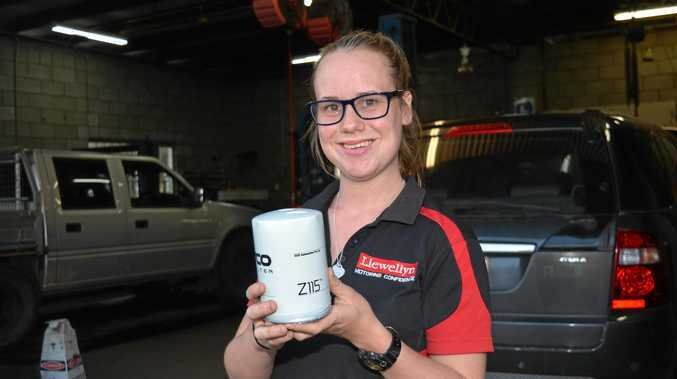 Each day Ms Van Ansem picks parts for more than 100 cars in her trainee role at Llewellyn Motors in Ipswich. Through her work she will achieve a Certificate III in warehousing and has plans to further her career. "My goal is once I finish this traineeship to become a parts interpreter and I'd love to go into the workshop and be a qualified workshop parts interpreter," she said. While Ms Van Ansem works with a supportive network of women - which she would be "lost without" - starting her role was daunting. 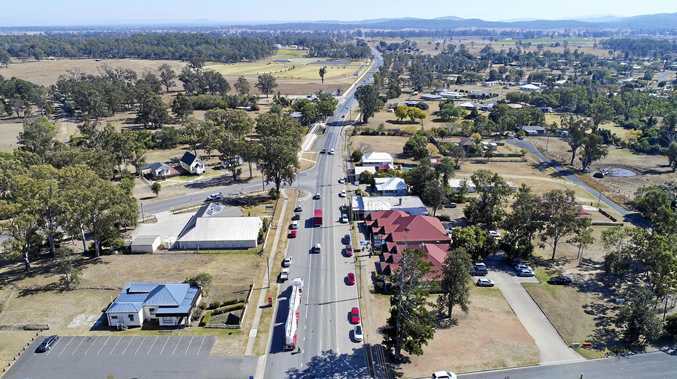 "Going down to a massive workshop with Llewellyn's and having 200-plus staff and not knowing the ratio of females to males, I was sort of hesitant," Ms Van Ansem said. But a year and three months later she's not looking back. "I'm just as good as what the men are," she said. "I learn each day what different parts are and how they work with the cars." Despite originally pursuing a career in retail, hospitality and childcare - because cars "weren't a girl thing" - Ms Van Ansem is confident she's on the right track. "When people ask me what I do and I say I work in the automotive industry it's a shock to them," she said. "But just being a girl and being able to say I work in a male-dominated industry, that's what I love about it." As the granddaughter of the Van Ansem Auto Electrical and Mechanical garage, working in the industry is "in her blood". When her parents retire she plans to take over the family business.